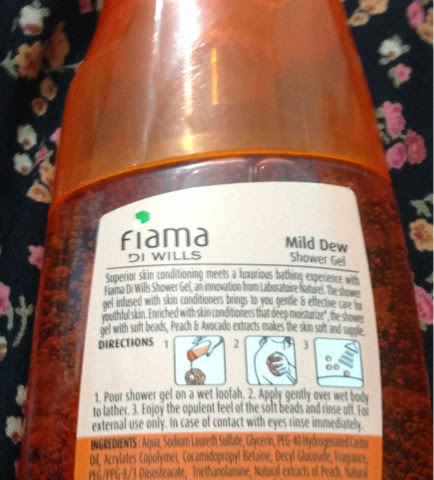 If you live in Delhi then taking baths at least twice or thrice a day is mandatory in this sweaty , grimy weather .For long , I have been in search of a shower gel which is gentle enough for frequent use and also has a moisturizing after effect .I spotted this Fiama di Wills Shower gel while shopping for monthly groceries .Let us find out how good it was . 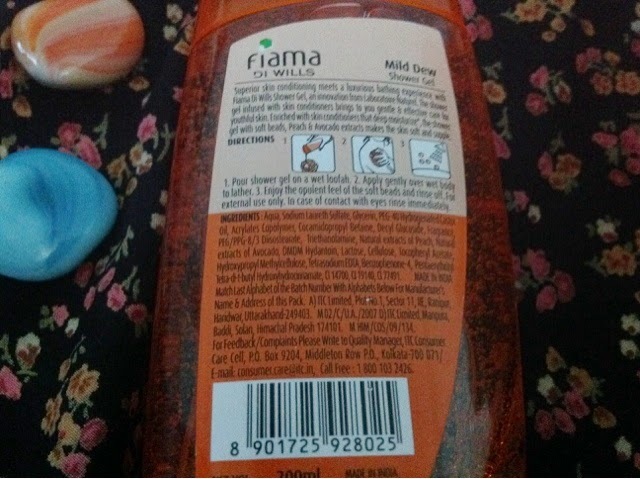 The Product--As the name suggests (Fiama Di Wills Skin Nourishing Beads Shower Gel With Peach &; Avocado Extracts ) this is a gel based product and contains orange- coloured microspheres .It feels very soft and the beads are also not abrasive at all .It is easy to lather and equally easy to rinse off . 5.Lathers well but does not dry the skin . 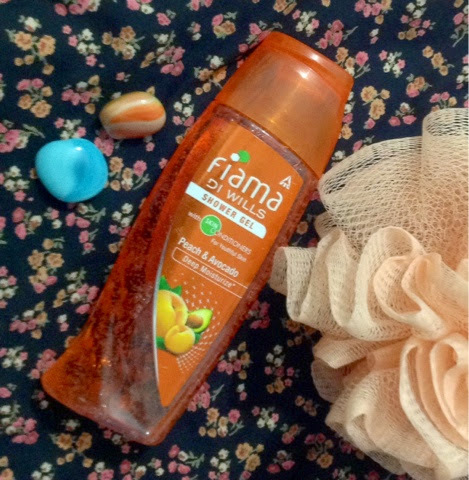 1.I personally did not like the fragrance (because I do not like peaches much ) but I am sure many others would like it . 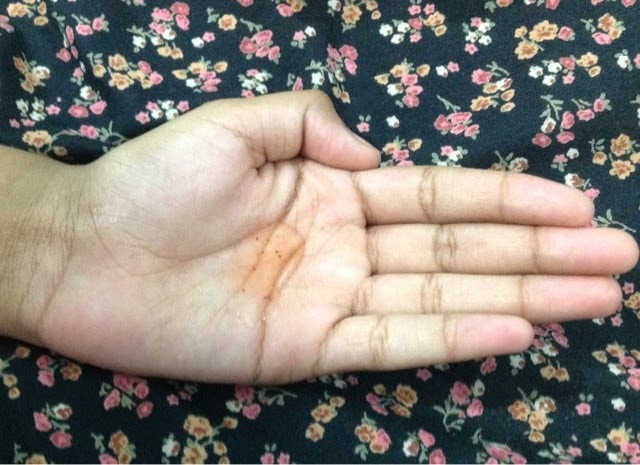 2.It does not condition my skin completely , I still need to use a body lotion after baths . I would rate it 3 / 5 for the above reasons . I want my body wash to make my skin feel fresh and soft , it does neither to my satisfaction .I do not get that squeaky clean feel .I end up feeling somewhat slippery and not so soft .Though it may be good for slightly less dry skin which does not need heavy moisturization .